The Tulip brand is associated with exceptional quality products. Located in Hiroshima, Japan, Tulip uses traditional techniques paired with cutting edge technology. 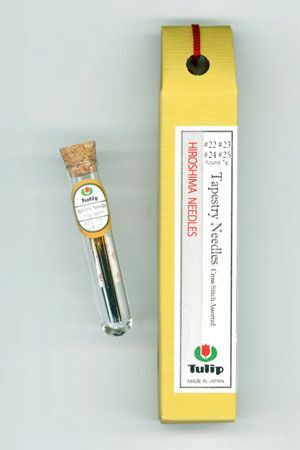 Each needle is a product of Tulip's highly detailed precision-processing technology which produces a needle body of ideal strength, is smooth and does not rust, a high quality eye that prevents snagging, a needle point that promotes smooth piercing enabling easy sewing. Six needles per pack. 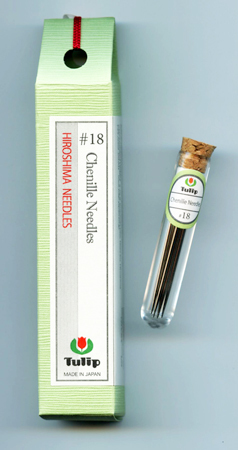 Use this needle with Ellana wool thread for wool applique using a small whipstitch, as well as for embroidery using Embellishing Threads. This Chenille needle stitches through wool like a dream. The Tulip #6 is an amazing sturdy, warp resistant, fine needle, which is a must have for hand appliqué. Ideal for any 60-100wt cotton and silk threads; as well as 60wt. cotton applique thread, Efina cotton thread and Invisafil. TULIP's traditional techniques paired with cutting edge technology has produced a #3 Milliners needle that stitches through wool like a dream. 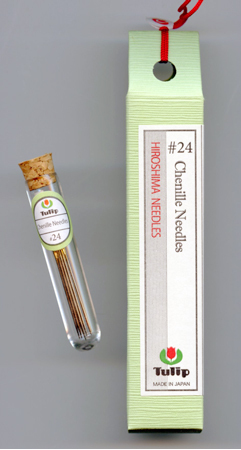 Each needle is a product of TULIP's highly detailed precision-processing technology which produces a needle body of ideal strength, is smooth and does not rust. This is a high quality eye that prevents snagging, a needle point that promotes smooth piercing enabling easy sewing. All of this in conjunction with an additional 30 processes per needle, produces a product that stands in a class of its own. 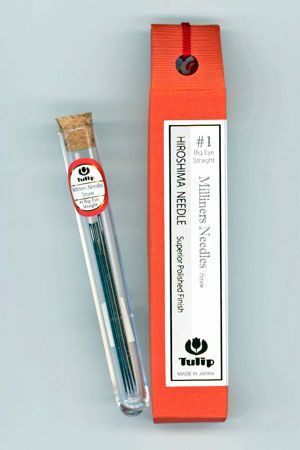 Tulip #3 Milliners Needles are ideal to use with Eleganza #8 Perle Cotton. 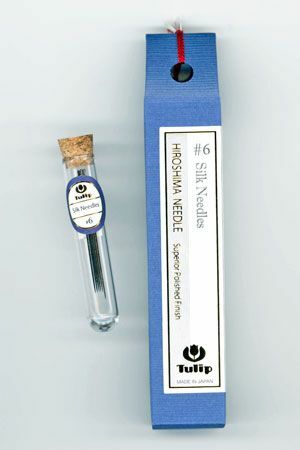 Tulip's #1 Milliners Needle, Big Eye, Straight, with Superior Polish. 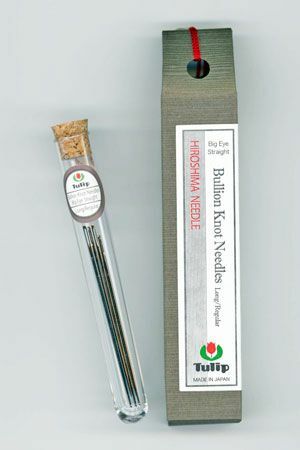 This has all the quality of the other Tulip needles, strong, smooth and does not rust, a high quality eye that prevents snagging, a needle point that promotes smooth piercing enabling easy sewing. Ideal to use with Eleganza and Painters #5 and #8 Perle Cotton. Also Razzle and Dazzle. 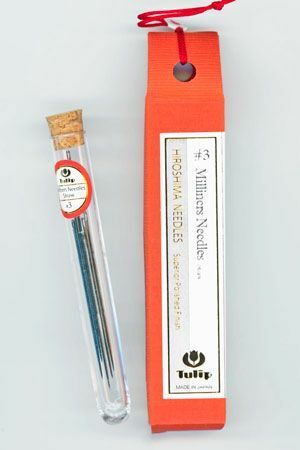 Each vial contains two needles with two different lengths. Comparable in size to a #1 Milliners.